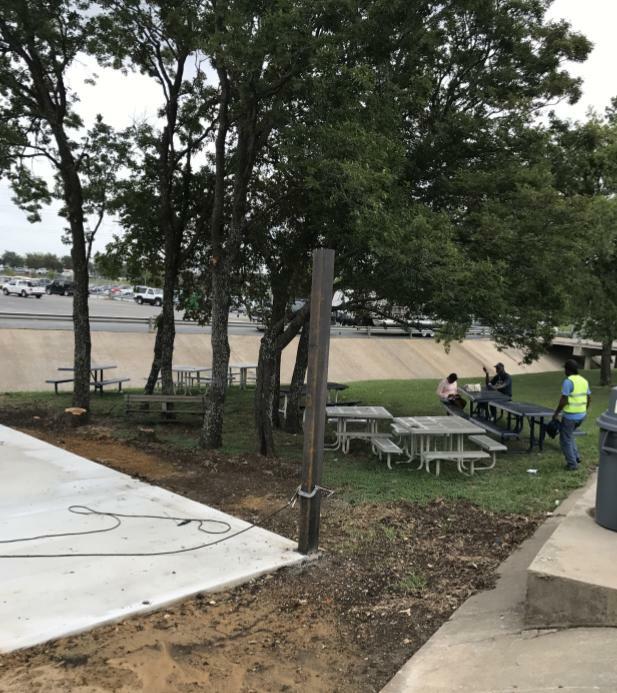 EGA installed concrete pad, ramp and awning for employees to sit. This project was to build an additional metal awning onto an existing building for added covered parking at the Manheim auto auction. 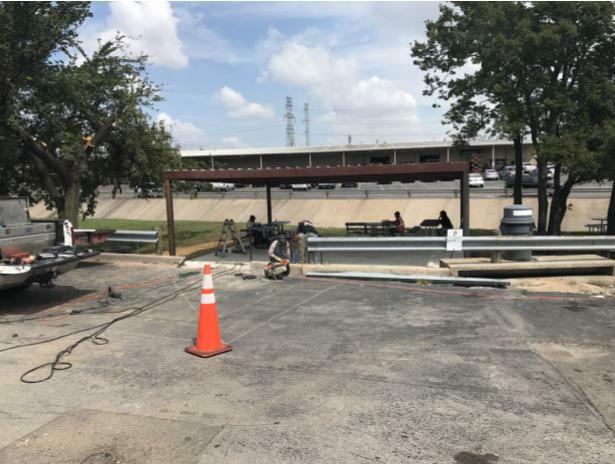 In addition to the attached metal awning we added in a 900sqft covered picnic area with ADA ramp for the employee’s. The most challenging part of this job was flashing the new metal awning for the parking area into the existing building. To make sure that it is done correctly you have to properly flash the new awning so water does not get between the original building and the new awning.